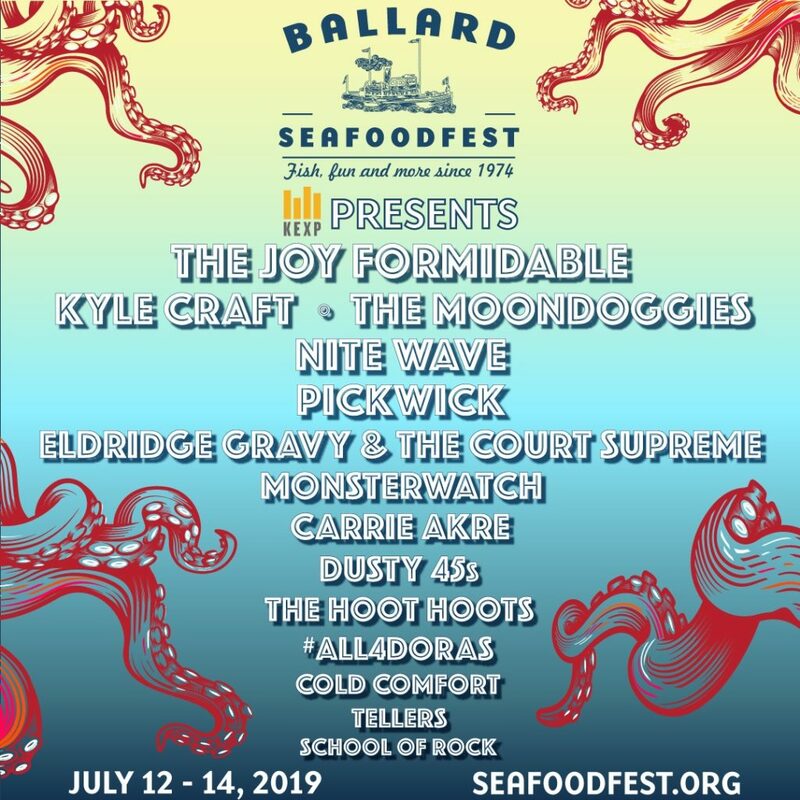 CELEBRATE 45 YEARS OF AMAZING SEAFOOD, MUSIC, BALLARD BREWS AND MORE ON JULY 12th – 14th, 2019! IT TAKES AN ENTIRE FLEET TO CREATE THIS ICONIC FESTIVAL EACH YEAR. PUT YOUR HANDS TOGETHER FOR OUR GENEROUS SPONSORS, DEDICATED VOLUNTEERS, NEIGHBORS, STAFF AND BOARD MEMBERS! HIPP HIPP HURRA! 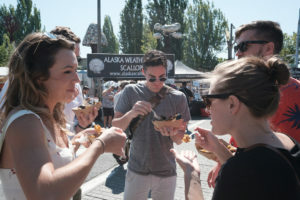 SeafoodFest began in 1974 as a community celebration of Ballard’s historic connection to the fishing industry and the neighborhood’s Nordic roots. Today, this free three-day festival attracts over 75,000 people who come to enjoy the traditional salmon barbecue and much more: local music, arts and crafts, family entertainment, a beer garden, a skateboarding event, and yes – lots of seafood! Oh wait. Did we tell you the event is FREE? Well, it is. We think you should spend your hard-earned cash on seafood…like salmon and crab. Superfan? Join our Facebook community, and follow us on Twitter and Instagram. Check out what was going down at Ballard SeafoodFest 2018 by using our INTERACTIVE MAP HERE!